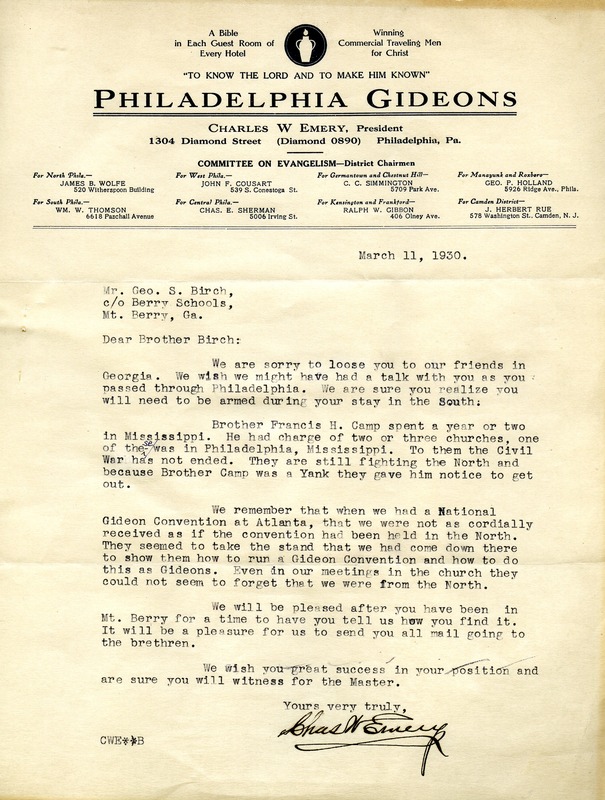 Mr. Emery writes to Mr. Birch to express his sorrow at Birch's move to Georgia and speaks of the differences between the North and South and the experiences he has had with them. Chas. W. Emery, “Letter to Geo. S. Birch from Charles W. Emery.” Martha Berry Digital Archive. Eds. Schlitz, Stephanie A., Jordan Brannen, Chelsea Risley, et al. Mount Berry: Berry College, 2013. accessed April 24, 2019, https://mbda.berry.edu/items/show/11820.